The sales team shouldn’t spend time chasing rainbows, they need to use their time efficiently and only on the sales they have an actual chance of closing. 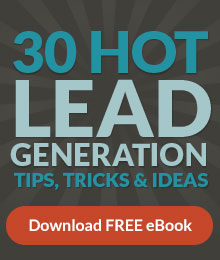 Only give qualified leads to sales. 61% of marketers send all leads directly to sales. Sales wastes 97% of time on prospects who are not ready to buy. Watch content consumption, page views, site searches, downloads, email opens, and social chatter for buyer readiness signals. When prospects are exhibiting buying signs, it’s time to place a personal phone call to qualify the lead before sending to sales. When you place that personal call, your job is to discover if the prospect has the money to buy your offering and if you're talking to the person who has the authority to buy. Ensure the prospect has a need for your product or service by working to understand the most urgent challenges the prospect needs solved. Avoid pitching a service or product they won’t value. Are the challenges presented as something your product or service can solve? If the answer is no, don’t spin your wheels pitching a solution that’s not a fit. If the answer is yes, ensure the prospect is not using, or has not committed to using, a different product or service to address the challenge. It’s important to understand whether or not your potential customer has, or can find, the budget to invest in your product or service. Focus on prospects that have the financial capacity or funds to buy from you. People often engage in a sales cycle regardless of whether or not they have the authority to make a purchasing decision. Be certain you are either speaking with the actual decision maker or at the very least a strong influencer to the final decision maker. Determine the timeframe for which your prospect expects to make a purchase. Are they committed to long-term contract? If so, find out when the contract comes up for renewal. If not, establish when the prospect wants a solution in place.